Yisrael Beytenu chairman criticizes New Right chairman: He places an ultimatum in the morning and then flip flops. Yisrael Beytenu chairman Avigdor Liberman on Saturday night criticized Education Minister Naftali Bennett, chairman of the New Right party. "Minister Naftali Bennett is a classic example of talking like a rightist [but not acting on your words]," said Liberman. “He talks about values, but leaves the party that elected him as its leader, close to the elections and without prior warning, and leaves it with debts of tens of millions of shekels. He claims to represent the secular public, but among the first 12 spots on his new list there are seven religious people, one of whom wants a halachic state here,” said Liberman. “Bennett declares that he aspires to be the next defense minister of the Israeli government, but his chances of being the Secretary of Defense of the United States are much higher. 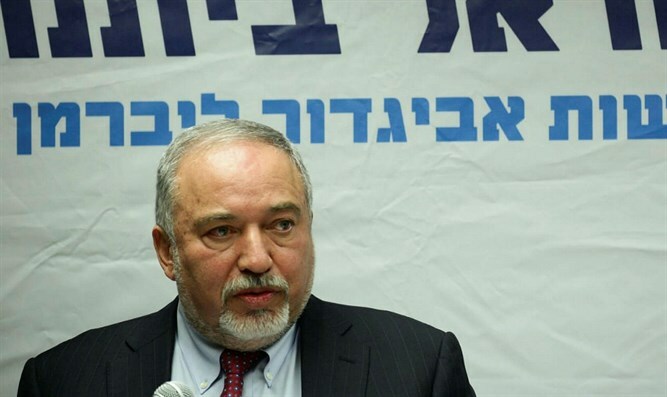 Only Yisrael Beytenu is right in deeds and not in words," concluded Liberman.